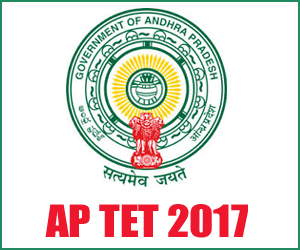 AP TET Syllabus in Telugu, APTET Syllabus in Telugu, TET Syllabus in Telugu 2018 – Andhra Pradesh Teacher Eligibility Test 2018 (APTET-2018) Syllabus Paper-I, Paper-II has been released. Aspirants can download AP TET Syllabus 2018 in Telugu by following links. Online Applications are invited for the APTET 2018 from eligible and interested candidates for all those aspiring to be teachers in State Government and other govt schools in AP. Candidates who are preparing and going to apply they must and should check syllabus, old question papers of TET, syllabus in Telugu, study material, bit bank, online books to get a high score in the exam. The selection process of APTET 2018 made in written exam mode, so every candidate must need to download syllabus to get a good awareness on the exam. Below you can download syllabus in Telugu, English medium. Dimensions of Development and their interrelationships — Physical & Motor, Cognitive, Emotional, Social, Moral, Language relating to Infancy, Early Childhood, late Childhood, Adolescence. Motivation and Sustenance —its role in learning. Class room Management: Role of student, teacher, the Leadership style of teacher, Creation of nonthreatening learning environment, Managing behaviour problems, Guidance & Counselling, Punishment and its legal implications, Rights of a child, Time Management. Understanding teaching & learning in the context of NCF, 2005 & Right To Education Act, 2009.